Chairman and Chief Executive of NDLEA, Colonel Muhammad Abdullahi (Rtd) who made the call at the maiden lecture series of South- South Professional Women Association (SSPWA) in Abuja said such strategies should focus on evidence based drug use prevention, treatment and care in Nigeria. 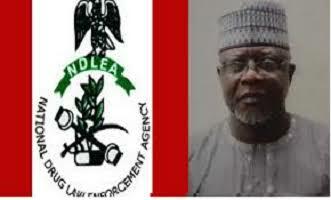 Represented by Cdr Kayode Adeniyi, Commander of Narcotics in NDLEA, he noted that though considerable efforts are being made by the agency to combat drug abuse, there was urgent need for CSOs, NGOs and other community groups to embark on continuous enlightenment campaigns against indiscriminate use of drug. “I implore government at all levels to establish drug abuse counseling units in schools, marketplaces, motor parks, workplaces and recreation grounds. He specifically noted it has eaten into the various sectors of the society cutting across social-economic background in the country. He however described such abuse by youth as orchestrated by drug availability, curiosity, lack of parental care, peer-group influence, parental drug use, influence of advertisements and psycho-social stresses such as anxiety, frustration and unemployment. According to him, continuous and persistent use of psychoactive drugs can lead to mental illness. Apart from this, mental ill health may also be caused by reaction to environmental stresses, genetic factors, biomedical imbalances or combination of these factors. President of SSPWA,Mrs Maryam Haruna said the organisation comprises of professional women of diverse backgrounds, skills and expertise that advocate, intervene, interact and exchange ideas.